Madrid is known across Europe as a gay friendly destination with vibrant nightlife and some of the best gay bars, clubs and events in Spain. Whether you’re looking for a high end gay hotel in Madrid or a budget gay hostal, the city has plenty of gay friendly accommodations to choose from. Madrid has always been the center for LGBT life in Spain so it’s no surprise that they host the largest gay pride in Europe. Each summer in July, nearly 2 million people attend the festivities and pride parade as people crowd the streets enjoying music, drinks and fun. As an LGBT traveler, it’s important to find accommodations where you feel comfortable being yourself. 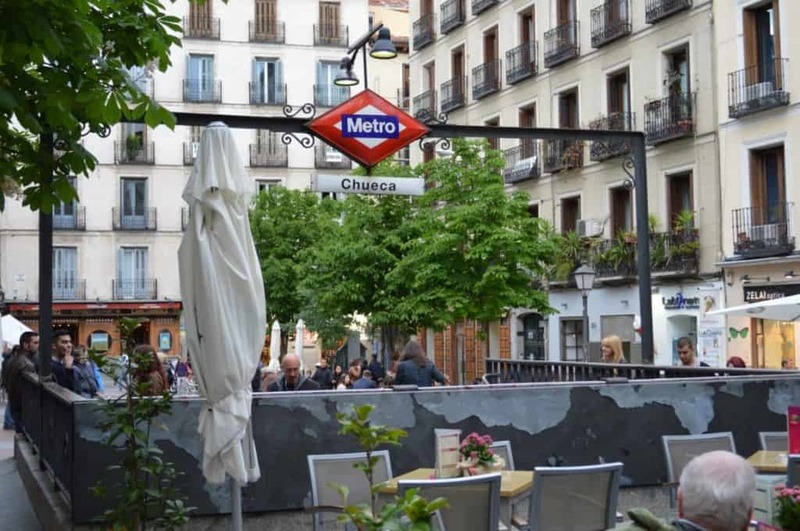 This is not difficult in Madrid as there are numerous gay-friendly and even gay-owned properties throughout the city. For a high end stay, consider the Westin Madrid with rates starting at 220€ per night. It’s located in the cultural center of Madrid with all the most famous museums and landmarks within a 15 minute walk. The Westin has all the amenities you would expect from a 5-star, well known hotel brand. Of course, the Westin is not specifically a gay property per se, but this Westin does special outreach to gay travelers and frequently hosts gay weddings on site. 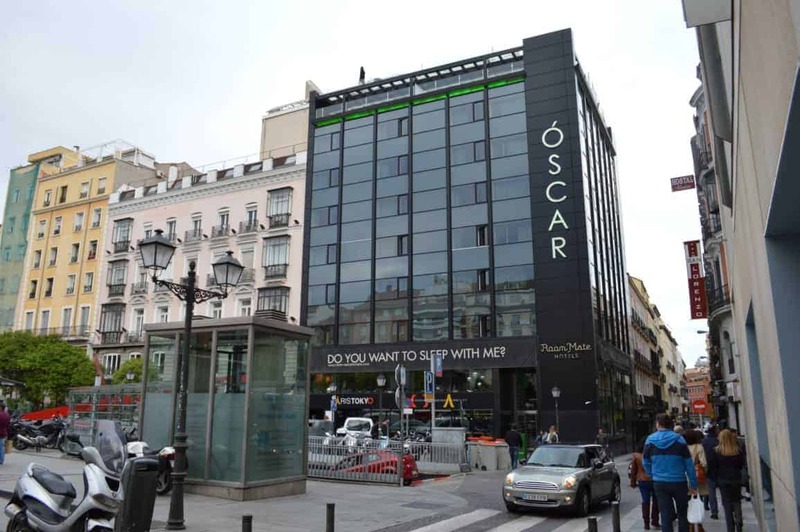 The Hotel Oscar Madrid, part of the Room Mate Hotels group, is a great mid-range option and is probably the most popular gay Madrid hotel in town. Rates start at 100€ per night and it’s located in the heart of Chueca. The decor here is chic and modern but rooms book quickly during major gay events. 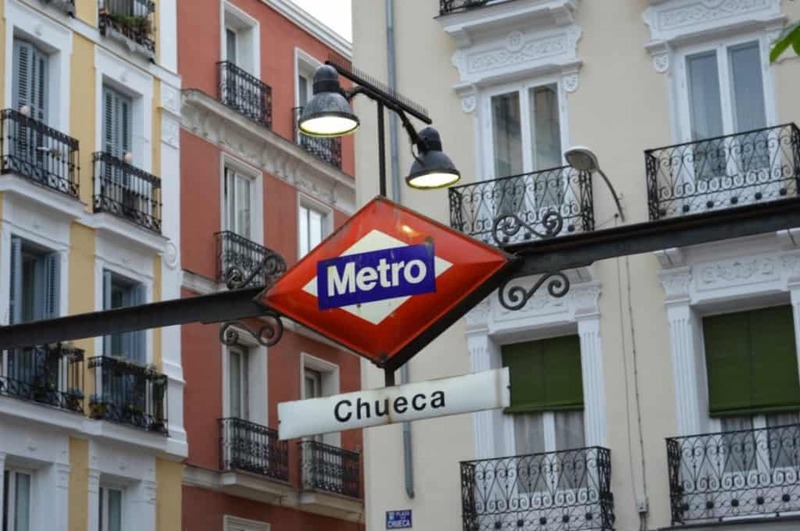 This property isn’t specifically advertised as a gay hotel in Madrid but it’s extremely popular given its prime location in Chueca, the gay district of Madrid. There are no gay hostels in Madrid with shared, dorm room accommodations like you might find in Berlin; however, you can find budget friendly options at gay hostals in Madrid. Hostals are not to be confused with youth hostels. 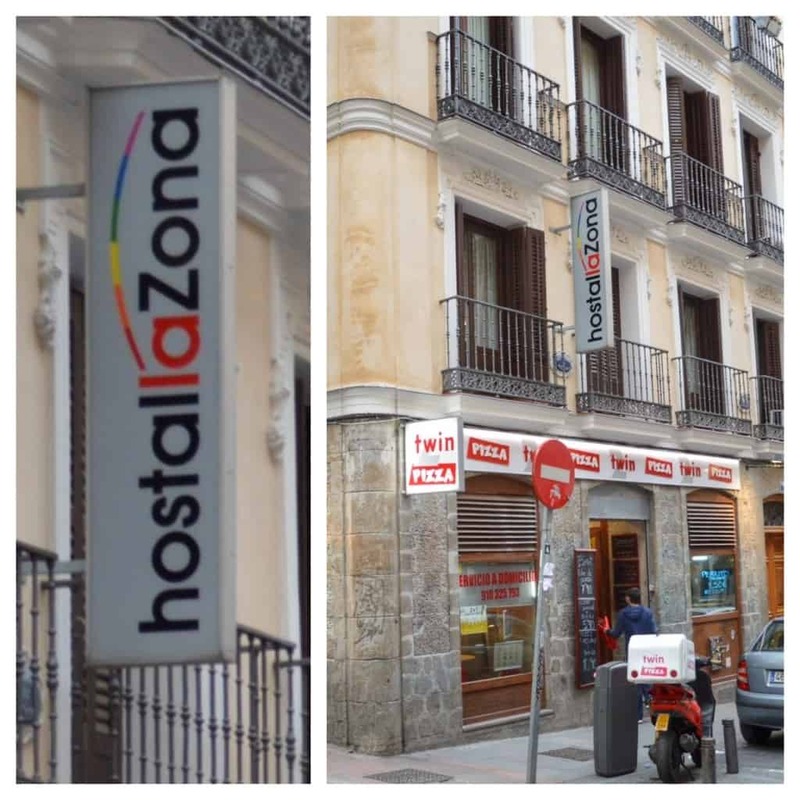 In Spain, a hostal is a small, privately owned 1 to 3 star hotel with private rooms and basic amenities. Rates are often as low as 30€ per night for a private room with a shared bathroom. 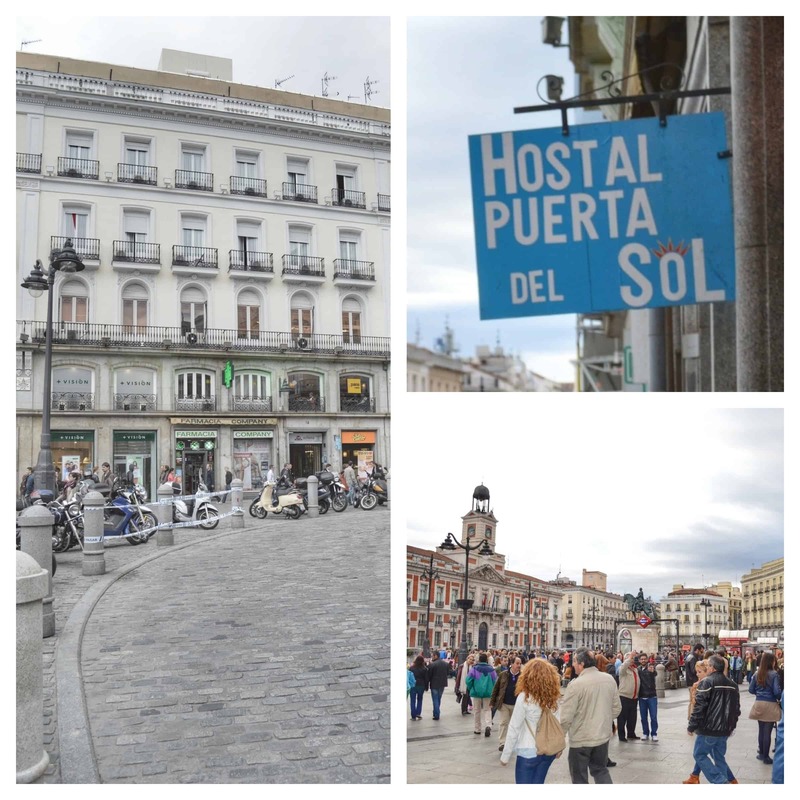 The Hostal Puerta del Sol is a gay hostal in Madrid. 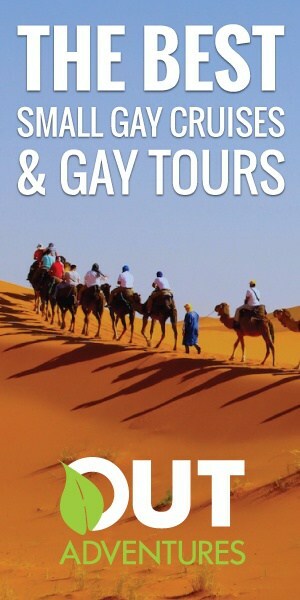 This property is gay-owned and operated and specifically markets to gay travelers. This property is located in the most central area of Madrid called Puerta del Sol, which is just 10 minutes walking south from Chueca. This location is still close enough to the gay nightlife but is also a bit closer to many of the famous museums and popular attractions in Madrid. Rates start at 40€ per night for a private room with a shared bathroom. Double rooms, rooms with private bathrooms or rooms with views of the square can cost between 60€ and 100€ per night. Hostal La Zona Madrid is a gay hostal also located in the gay district of Madrid. This property is a gay-owned hotel and is just beside the popular street Fuencarral, which is one of the most popular shopping areas in the city. Single rooms during mid-week start at 35€ per night, which includes breakfast until noon. Double or triple occupancy rooms during weekends or high season go from 50€ to 90€ per night. This place is so gay friendly that their website even invites your one-night stand to spend the night and enjoy breakfast with you, though for an extra fee to cover the meal. Madrid House is a gay hostal excellently located in Chueca near all the gay bars and clubs in Madrid. You can book a private room for as low as 29€. Pay an additional 5€ if you want breakfast or skip the charge and find a local bar or café nearby serving up a simple Spanish breakfast for under 3€. Double rooms with more amenities will cost up to 70€ nightly. Like most hostals, this property provides a simple accommodation in a small but clean room. It’s perfect if you’re on a tight budget and the highlight with this property is the location. If a hotel isn’t your style and you prefer having more cozy accommodations, try renting an apartment. There are tons of sites for apartment rents in Madrid, with AirBnB probably being one of the most popular. Prices are generally comparable to mid range and budget hotels, especially if you’re willing to get a room in a shared apartment. There are even LGBT-oriented booking sites like MisterBnB with gay and gay-friendly owners who list their apartments in Madrid. We’ve recently signed up for MisterBnB and actually listed our extra room there. Regardless of where you stay in gay-friendly Madrid during your holiday, you will most likely find the staff welcoming. But if you want a more comfortable stay and a guarantee of finding LGBT friendly staff, book one of the gay hotels or hostals listed here, which are specifically gay owned and target gay clientele. If you are traveling to Madrid during high season (May to August), on the weekends or during major gay events, you’ll need to book these rooms in advance to ensure availability. Many of these properties are small and book quickly when in high demand. Do you have any plans to visit Madrid? Have you ever stayed in a gay hotel before? Share with us in the comments below! Note: You can actually book any of these places by using the links below. It won’t cost you any extra but we do receive a small commission for each referral booking. Thanks for supporting this site if you choose to use our link! True Marcus. We’ve met some great people couchsurfing. Though sometimes you can’t always manage to arrange a host during the days you need. We’ve definitely had this problem at times, especially during special events. My husband and I stayed at Hotel Atlantico on the Gran Via during last year’s pride. The staff was great and hooked us up with some great tips on the local area.Our room was huge and overlooked the Gran Via. Sounds great! Such a good location. We live very close to that hotel. And surprising that you got a huge room…those are rare in Madrid. My boyfriend and me also made some good experiences by using http://www.ebab.com to rent a cosy and gay-owned apartment in Madrid. As we know they are the first LGBT-oriented booking site ever. We did use it for several times. Nosotros estamos en la Plaza Pedro Zerolo! !